Corning on Wednesday unveiled Gorilla Glass 5, the latest iteration of its popular cover glass that’s said to further address a common concern among consumers: breakage from drops. Citing an 11-country survey, Corning points out that more than 85 percent of smartphone owners have drop their handset at least once a year with 55 percent saying they've done so a minimum of three times over the same period of time. Indeed, cracked and shattered screens are a common occurrence in today’s mobile-driven world. In the earlier days, scratches were just as much of an issue (if not more) although at this point, advancements in cover glass like those offered by Corning have largely eliminated the need for protective screen covers. Damage from drops, however, remains a pain point for the industry. In Corning’s internal testing, the company said its Gorilla Glass 5 survived up to 80 percent of the time when dropped face-down from 1.6 meters (between shoulder and waist height for the average person) onto rough surfaces. 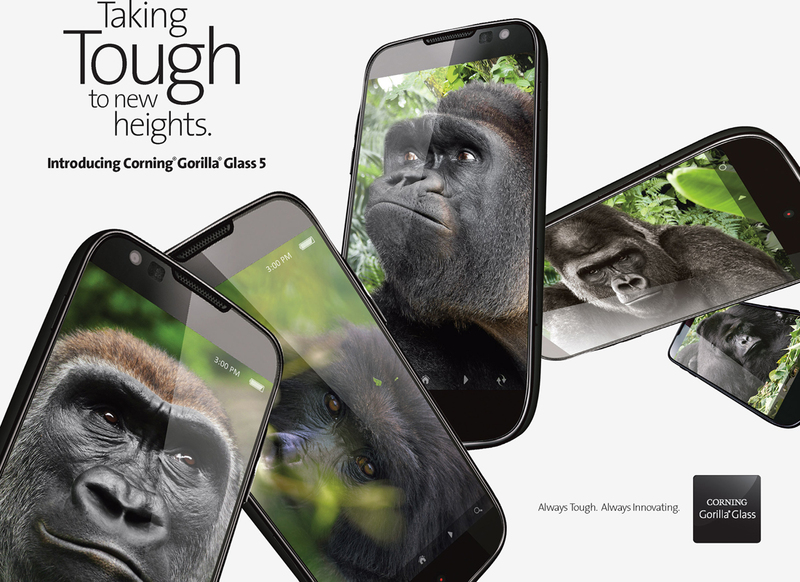 Although not always advertised, Corning’s Gorilla Glass is widely used in the mobile industry. The company says that 40 brands have employed its cover glass across more than 1,800 product models since its inception nearly a decade ago. That equates to more than 4.5 billion devices worldwide. As you may know, Corning originally developed its strengthened glass in the 1960s but quit making it shortly after as there wasn’t any market for it. Decades later, when Apple CEO Steve Jobs was looking for glass to use on the first iPhone, he was urged to contact Corning. The rest, as they say, is history. Corning says its new Gorilla Glass 5 is available commercially as of writing and is expected to appear on mobile devices later this year.